Time flies very quickly, and it seems almost incredible that our site has already turned 5 years old, but it has. For some of us during this time it had become a second home , so we wish it further development , a good community and a stable server :). With the latter, unfortunately, there have recently been some problems, but for now, I hope everything will be fine. Of course, we are always moving forward: we have accumulated quite a few plans to improve the site , which you can see very soon . In the meantime, we decided to finally release the beta version of our Sonic Rush translation, on which Nekit , RedTF , MrCech , Maxwells and SpeedTH have worked. Download it here , and discuss it and at the same time congratulate SCANF happy birthday on our forum . Graphics (especially in the menu) has yet to be finished, but it is only a beta. 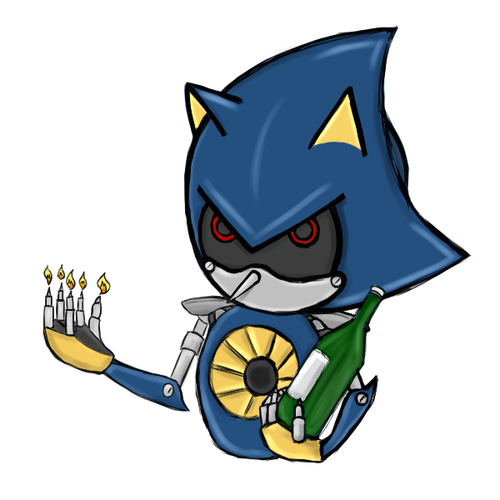 And most importantly, happy anniversary, Sonic SCANF! Feb. 13, 2013, 11:31 p.m.